Being a part of University of Plymouth's history! 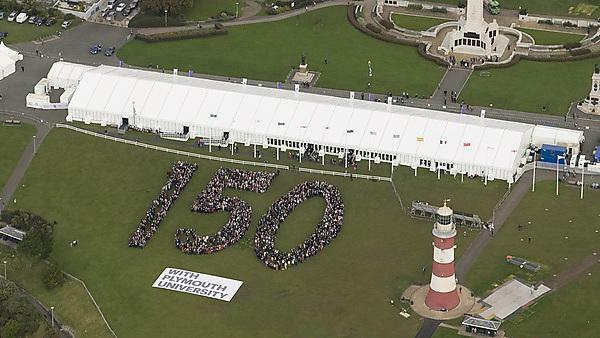 On 21 September 2011, between our graduation ceremonies on Plymouth Hoe, we took some spectacular aerial photographs of a '150' made from people. A truly memorable moment in our anniversary celebrations and a big thanks to all the University staff, students, graduates and their friends and family who so patiently filed into the '150' marked area for the aerial photograph to be taken - around 1,750 people took part, including those graduating from the School of Geography, Earth and Environmental Sciences!